The U.S. stock market indexes gained 0.2-0.6 percent on Wednesday, as investors' sentiment reversed following a lower open. The S&P 500 index got close to its recent local highs and it currently trades 4.9 percent below January’s 26th record high of 2,872.87. 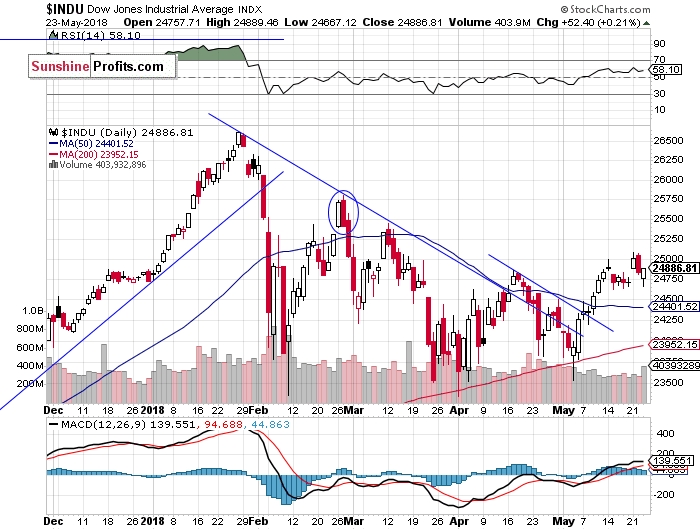 The Dow Jones Industrial Average gained 0.2 percent, and the technology Nasdaq Composite gained 0.6 percent, as it was relatively stronger than the broad stock market yesterday. 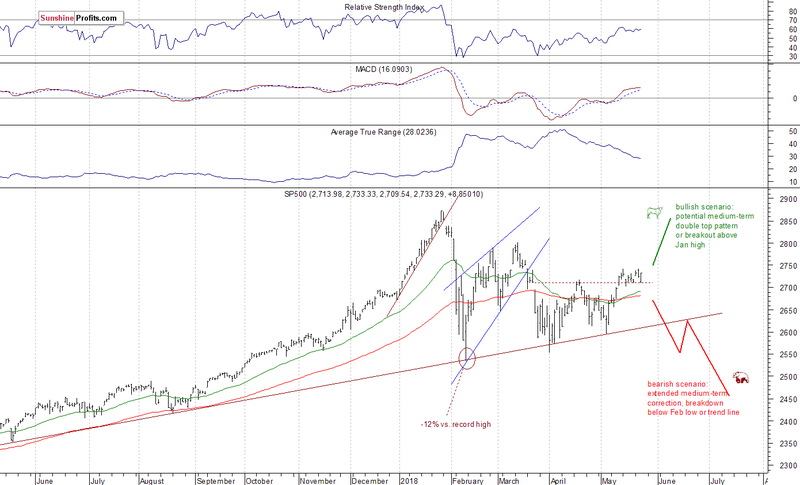 The nearest important level of resistance of the S&P 500 index remains at around 2,740-2,750, marked by recent local highs along with mid-March local high. On the other hand, support level is at around 2,720, marked by Monday's daily gap-up of 2,719.50-2,725.70. The support level is also at 2,700-2,710, marked by previous daily gap-up of 2,701.27-2,704.54 and recent daily lows. Mixed Expectations, Uptrend to Continue? 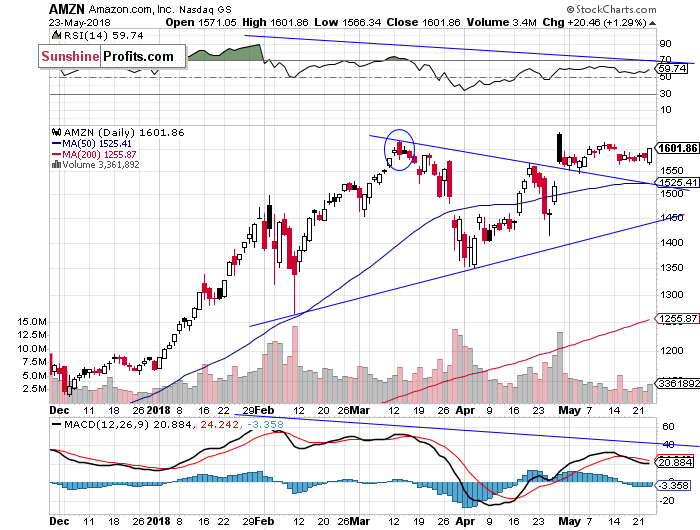 Apple, Amazon - Closer to Breakout? 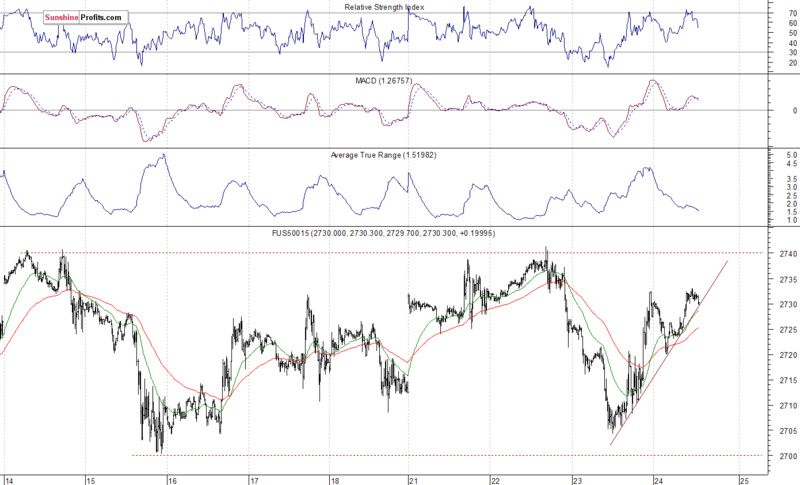 Let's take a look at Apple, Inc. stock (AAPL) daily chart (chart courtesy of http://stockcharts.com). 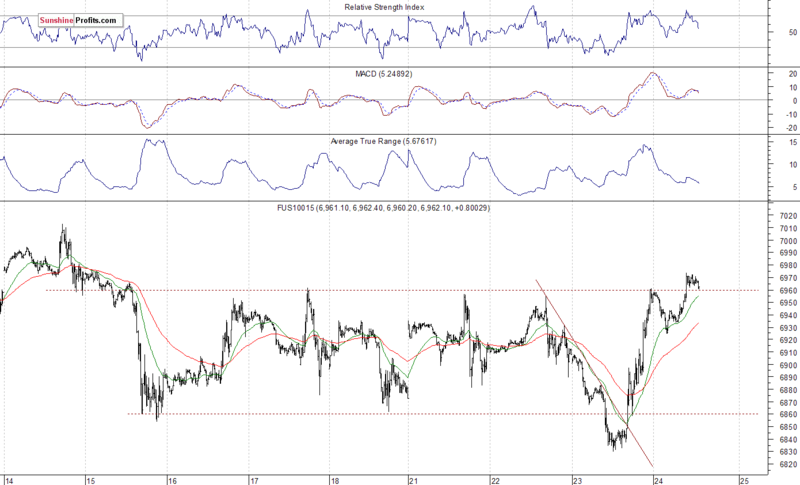 It reached new record high two weeks ago, as it extended its short-term uptrend. 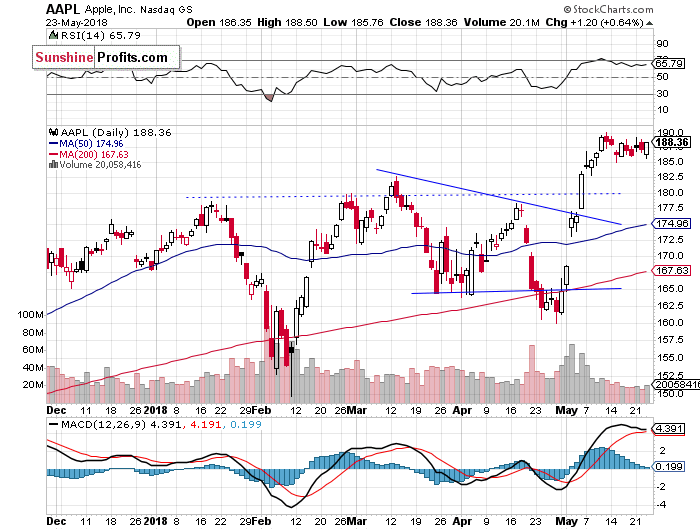 The price bounced off resistance level of around $190-200 and since then it trades within a consolidation. The broad stock market reversed its intraday decline yesterday, before closing slightly higher. Was it an upward reversal or just another move up within two-week-long consolidation? It's hard to say. If the S&P 500 index breaks above the resistance level of 2,740, we could see continuation higher. There have been no confirmed negative signals so far. However, just like we wrote in our several Stocks Trading Alerts, the early February sell-off sets a negative tone for weeks or months to come. Concluding, the S&P 500 index will likely open slightly higher today. It is closer to breaking above its short-term consolidation, but we may see some more uncertainty along two-week-long resistance level.